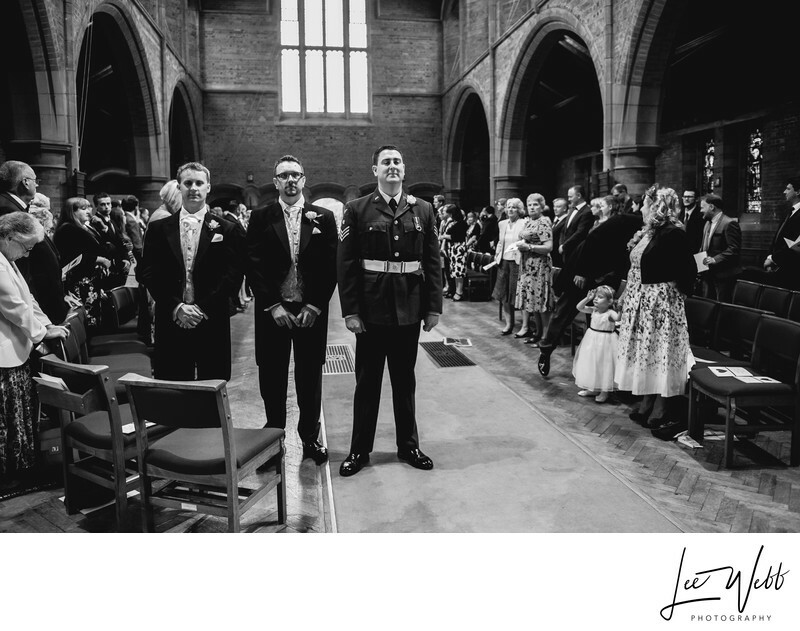 Karl and Beccy got married in St Georges Church in Worcester. The church's location is slightly odd and is unlike many other churches that I photograph weddings at. Most old churches are found at the end of country lanes, off the beaten track and generally a bit of a walk. Not St George's however - It's located at the end of a long, thin looped road with large Georgian houses on either side, and cars parked down the length of the road. In terms of outdoor space, there's very little; a short 20 metre walk from the road to the front door is about all you get. However, the inside of the church more than makes up for the lack of outdoor space. The church is massive! Not only is it enormous, but the size and position of the windows means that it's very bright inside and has a lovely welcoming feel to the space. I always find that because of the quality of light you get here, black and white images always work really well. This is one of my favourite wedding photos for a number of reasons. Firstly, I love black and white and think it compliments this image wonderfully. I love how the groom and the two best men are all facing forwards and I love how each of their expressions is saying something different. What I love the most though, is that there's a corresponding photo of Beccy, the bride, which I took about 30 seconds before this one! 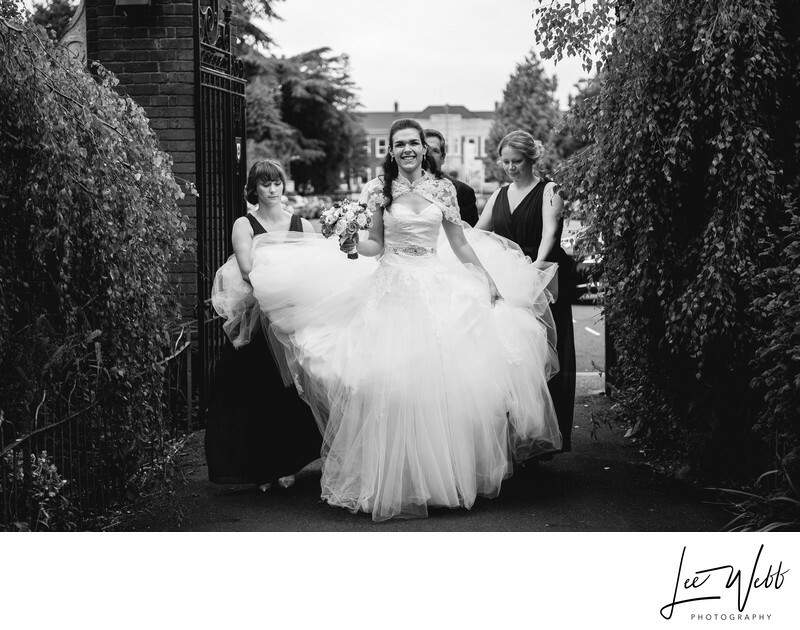 If you'd like to have a look at how the whole day went, you can view Karl and Beccy's wedding album design by clicking here. Location: Saint Georges Church, Worcester.